The Root Community is Located on about 15 acres of beautiful woodland and meadow located in upstate New York’s Mohawk Valley. A top priority in everything we do is preserving and promoting the natural environment on the property. We believe that nature is a bountiful resource that inspires us and has the potential to enrich any experience on the property. We do our best to practice good forestry at the Root. We identify and remove diseased trees to make room for other species to grow. We also identify less common native tree species on the property so we can direct our construction projects and activities around their preservation. 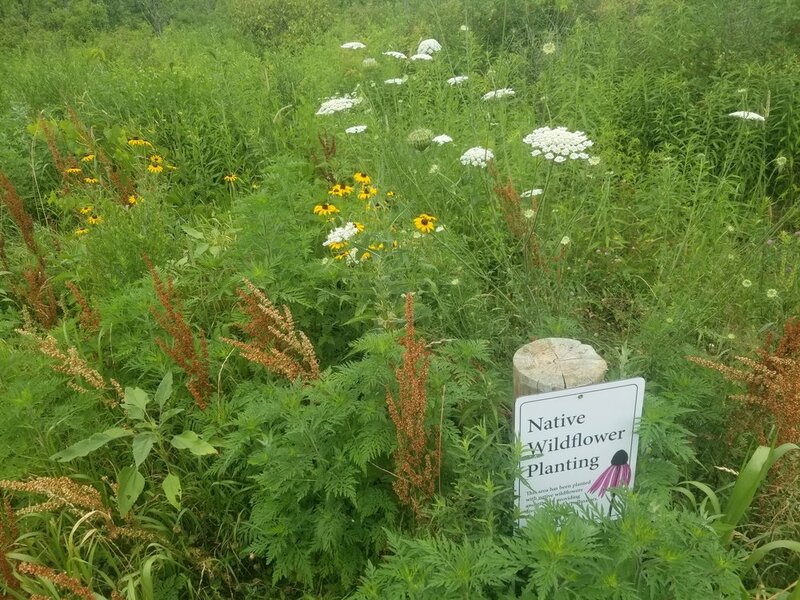 Recognizing our responsibility to increase the biodiversity and carrying capacity of our property, there have been distinct efforts to establish and diversify the native plant life in our meadows. Currently, The Root has seeded approximately 30,000 square feet with over 35 plant species native to our region. Our two acres of meadows host strong native populations of Canadian Goldenrod, New England Aster, Queen’s Anne’s Lace, and Swamp Milkweed. Like much of the North East, we have a significant presence of the invasive Purple Loosestrife and actively engage in long-term efforts to replace this species with diverse native flora. The Root successfully established our first honeybees in the spring of 2017. Following a crowd funded effort, we are keeping honey bees to increase the pollination of our ecosystem and promote learning opportunities for our guests. After a successful first winter, we were able to naturally double our hives during the spring of 2018. We keep honey bees and support our native bees in order to educate our communities about the necessity to learn from nature, constructively support our environment, and obviously enjoy our one of a kind honey. We operate a small farm at The Root to generate produce that feeds our weekend visitors, supplies our events and gets stored for use over the winter. We have an orchard, a kitchen garden and a small field for storage crops. We also raise meat chickens and free range laying hens. Of the total 15 acres that make up the property, we only cultivate less than an acre to maximize the the amount of natural preserve on the property.